For a comprehensive understanding of unique sewer pipeline problems and the solutions needed to fix them, NuFlow Oklahoma is proud to offer modern sewer camera inspection service. This remarkable video system collects detailed information to help ensure accurate diagnostics, effective repairs, and guaranteed results. We have the tools to provide a positive sewer repair experience for every customer. Our sewer camera inspection uses a super-flexible, fiber optic cable with a waterproof, high-definition camera attached that can collect high-quality video in the dark, dirty, wet environment deep inside the sewer pipe. The video footage feeds instantly through the fiber optics to a viewscreen, which the expert technician uses to visually inspect the interior of the pipe, even if it’s encased in a wall or buried beneath the yard or parking lot. The images are clear enough to reveal early signs of deterioration, evaluate pipe buildup progression, or inspect a clog to learn what it is made of. With this information, we collect accurate information, so we can develop a comprehensive repair solution that resolves the problem in the most effective manner. At NuFlow Oklahoma, we value our customer relationships, so we are happy to provide an opportunity for all of our clients to personally review the footage in order to gain a clear understanding of the situation and the approach to fixing it. We will spend time going over the video with all of our customers to explain what we have observed and what it means in terms of current and future repair needs. We always want our customers to feel comfortable with the recommended repairs and approve of our solution in order to guarantee customer satisfaction. Sewer camera inspection plays an important role in ensuring the success of our no-dig, hassle-free trenchless sewer repair solutions. Our installation technicians use the camera as their eyes in the buried sewer lines, locating and evaluating the severity of the damage, guiding the tools during the restoration or replacement process, and checking the results to verify a successful treatment. In many ways, this powerful little camera makes our trenchless repairs possible. 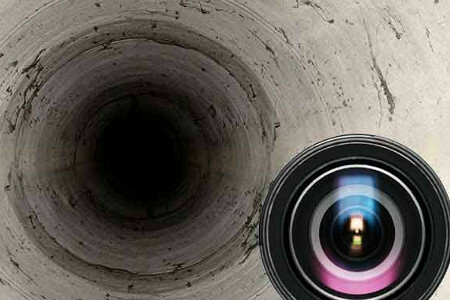 For many of our customers, sewer camera inspection is an essential piece of protecting a business or home assets from damage due to a broken or obstructed sewer line. A routine yearly sewer inspection provides the detailed information needed to develop an effective sewer maintenance strategy that addresses developing sewer problems in a way that is both time-sensitive and budget friendly. For example, we can measure sewer buildup to help plan a drain cleaning or monitor the progression of deterioration, so the pipe can be relined before replacement becomes necessary, just to name a couple of more common issues we see. With an inexpensive sewer inspection, residential owners can take control of their sewer maintenance and avoid unpleasant emergencies altogether. For NuFlow Oklahoma customers, sewer camera inspection provides control over their sewer condition, peace of mind during a repair, and fast, effective sewer solutions. We invest in the newest technology to ensure the most reliable results, so you can clearly see what is happening in your hidden sewer lines. Call today to schedule your affordable inspection!